The 2011 French Open Tennis Tournament is now over and some of us are still baffled by Rafael Nadal’s victory against Roger Federer. While pondering upon the event, we’ve learned that amid all the spectacular tennis matches and enthusiastic supporters digital signage had an important role to play. The French Federation of Tennis used it to promote its RG_Lab_2050, a futuristic family entertainment area. Four of Cübb‘s ”digiwalkers” (also known as Cyklops) could be seen around the stadium during the entire duration of the tournament, providing information about the new venue and the activities it offers. The digiwalkers directed many of the tournament’s 500,000 spectators to the ”Lab” that was intensively visited during all of the 15 days, according to Cübb. 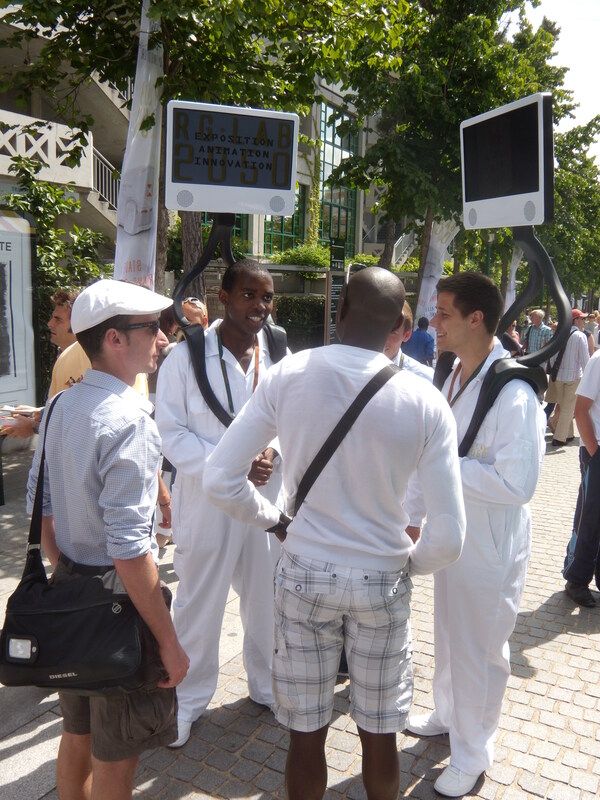 The ”digiwalkers” were complemented by the Cytouch– iPads used to collect passers-by’s bets on the winners of different matches. 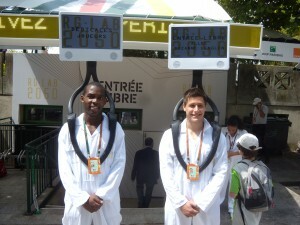 Participants were given the chance to win a free seat at the Men’s Final, every day. Cübb’s Cytouch solution served the French National Lottery (Française des Jeux). This project comes to prove that the public space becomes more digital and that digital signage itself starts playing an increasingly important part in the promotion of important events. 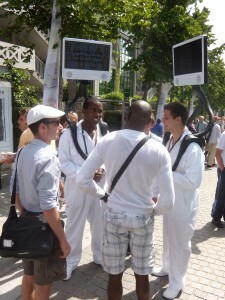 Digital signage in action- the digiwalkers at Roland Garros- Paris, 2011. This entry was posted in Digital Signage, Hardware, Uncategorized and tagged digital signage by Dynamax. Bookmark the permalink.